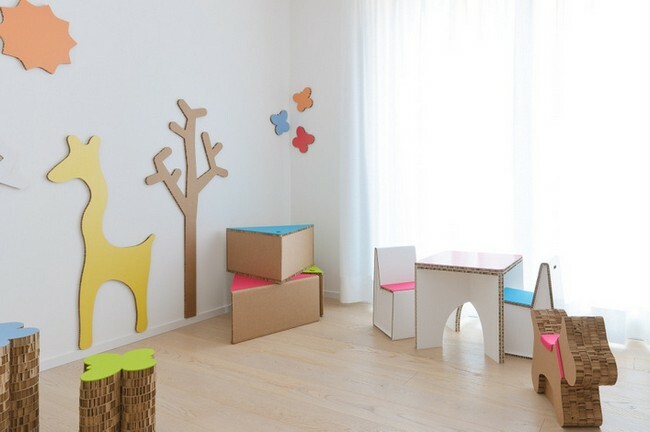 Interior design for a playroom of two little girls, using recyclable furniture and wall decors in honeycomb cardboard by eccoqua. Space is designed for playing, drawing and studying. 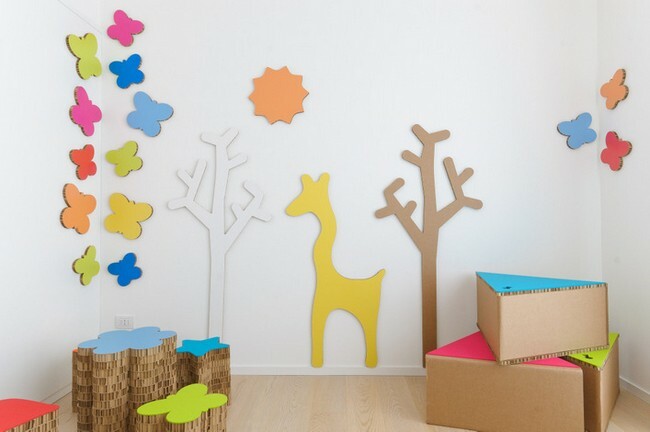 Villekulla small Design : Eco-arredamento!